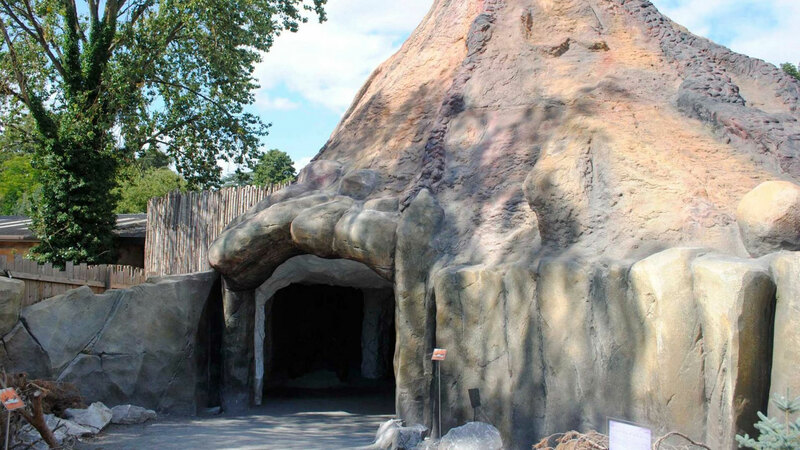 In the dynamic new Ice Age exhibit at the West Midland Safari Park (WMSP) in Bewdley, Worcestershire, weber TXT mortar by Saint-Gobain Weber has been used extensively. In this, the largest exhibit of its kind in the UK, visitors walk amongst the magnificent creatures that roamed the Earth millions of years ago. Main contractor Greenspan Projects Limited, of Southampton, established in 1976, is an experienced design and build contractor of visitor attractions. Their portfolio includes attractions at Chessington World of Adventure; Queen Elizabeth Country Park; Robin Hood Adventure at Wheelgate Park and many more. Creating themed, immersive visitor attractions that are visually impressive and structurally sound is extremely high on Greenspan’s agenda. The company values collaborative working and places great importance on the materials specified. When working with partners and suppliers Greenspan choose only those who clearly demonstrate that they have the skills, capabilities and qualifications to satisfy or exceed their expectations and those of their clients. 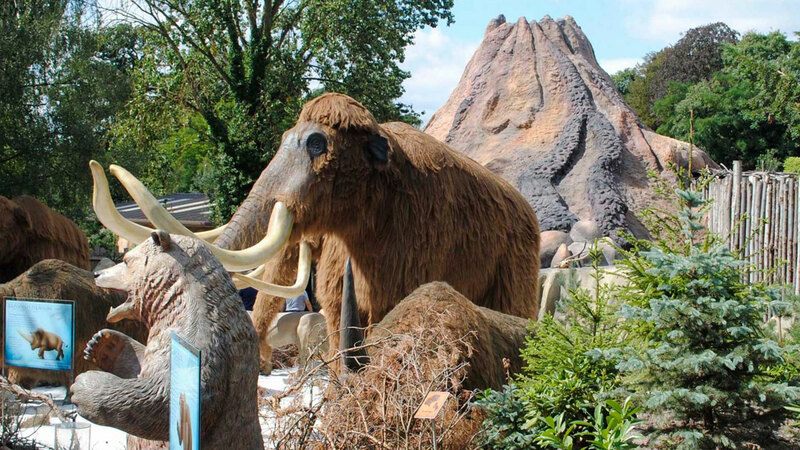 On the dramatic Ice Age project Greenspan Projects partnered with Theme Park Build Limited, Oxford, the themed structural façade specialist who also has a very impressive portfolio of projects including Disneyland Paris; Universal Studios, USA; Legoland Windsor; Center Parcs, Germany and many, many more. weber TXT mortar is designed for the sculpture, or reconstruction, of decorative reliefs such as artificial rocks, trees and stones, and the casting or running of ornamental motifs in relief. It can be modelled, moulded, carved and sculptured and used for fixing decorative elements such as natural or artificial stone and brick into the fresh mortar. weber TXT mortar is a factory-produced, thixotropic, high build and cementitious texturing mortar that can also be applied to metal lath in thicknesses ranging up to 150 to 200mm but it is more generally applied in thicknesses of 70 to 80mm, including lath. It requires only the addition of fresh water on site and is suitable for hand or machine application. Before application of weber TXT mortar a base coat of weberend OCR is applied. weberend OCR is a pump or hand applied base coat render for use in conjunction with Weber’s decorative finishes. weberend OCR is applied in one coat, avoiding the drying time associated with a multi-coat render system. For more information about weber TXT mortar get in touch with our team via email.